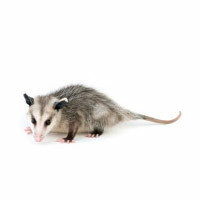 There are several species of opossum, also known as possums, but only one that lives in North America. Opossums are marsupial creatures covered in coarse, gray hair, except for the tail, which is naked. The tail is prehensile which means that it is very muscular and the animal can use it for hanging onto things like branches. They have clawed toes and feet which (coupled with the use of their prehensile tails) make them great climbers. Opossums live in all kinds of environments. Possums possess small, sharp teeth which, contrary to belief, are their first line of defense against predators. 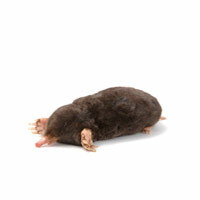 Only after holding their ground for a period of time does a possum play dead. Do you have a opossum problem? Trapping opossums is the most effective way to remove them. Some other companies use other methods for opossum removal but they are not as effective and sometimes inhumane. Some companies will use poison and not only is it illegal but the animal will probably die in the attic or in a wall and produce a terrible smell. Then removal of the dead animal will be necessary. Other techniques such as making sounds and creating repellent smells rarely work. Even if these other methods happen to work, the animal is still around your home or business and may come back. Based on our exhaustive research and our experience, the opossum needs to be trapped and then relocated far enough away that it will not come back. 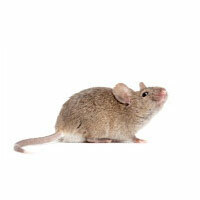 •After opossums are removed, animal repair and intrusion prevention services are recommended. 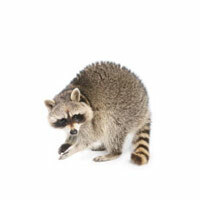 Animal Removal Jacksonville & Northeast Florida can assess damage caused by the opossums and repair holes or gaps, and close off possible entry ways into your home, or business. We can provide an estimate to assess the damage and required efforts. Each wildlife case is different, being only a single oppossum needing capture or a family of them. 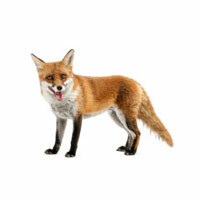 Animal Removal Jacksonville & Northeast Florida is devoted to resolving your problem in the best way possible. Our professionals are usually able to trap possums in a timely manner, but also may be able to solve the problem the first night. 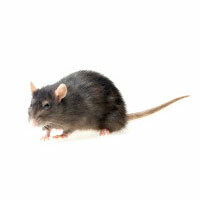 There are multiple considerations that can affect how long it takes to trap the opossums in your home or business.